Oh, the presumption of youth! I recently came across some old press cuttings, including a page written way back in March 1970. That’s exactly 46 years ago. Nearly half a century! As you can see from the photograph, I was but a child. I was pontificating on the state of rock music in England in those distant days. It was a time when that now historic British Blues Boom (that took blues to the world of young white music fans) was running its course. At the time, the UK rock press called the latter stages of the blues boom era ‘Underground Music’. 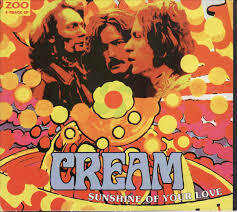 This term started, from memory, around 1966 when the first hard rock blues bands like Cream evolved. Bands like Cream and Fleetwood Mac were building on the R&B – rhythm and blues – tradition laid down by the Rolling Stones, Pretty Things, Yardbirds and early Kinks. R&B today, of course, means a genre of music that’s totally alien to what the Stones were doing. Peter Green’s Fleetwood Mac and the Jeff Beck Group emerged in 1967, and the country became awash with great blues rock bands, like Ten Years After, the Groundhogs, Chicken Shack (fronted by current Fleetwood Mac member Christine McVie and pictured left), Rory Gallagher and Taste, Led Zeppelin, Black Sabbath and Free. Many took their message to America with massive success. The Jeff Beck Group, fronted by Rod Stewart, made an enormous contribution in taking blues back to white America, something mainly forgotten now. 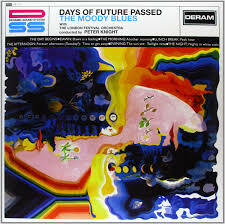 Electric blues rock was everywhere in the 1960s. We saw top ‘live’ most weekends and I even managed my own blues rock band, West Bank. But by March 1970, when I wrote my piece, bands were abandoning the 12-bar structure, howling blues guitar and wailing harmonicas. With this shift away from the blues came the birth of Progressive Music which, at the time, included all those blues rock bands mentioned above. That “musically-infantile blues boom stage” – how dare I? I never really liked what was happening but, going with the flow wrote my article. 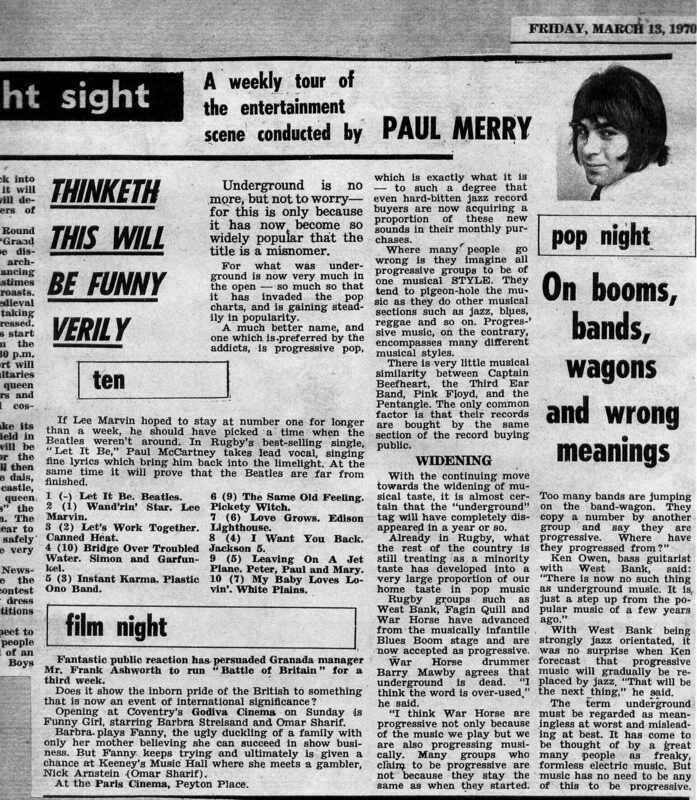 If you can bear to read what I wrote in 1970, under the headline (the sub editor’s) ‘On booms, bands, wagons and wrong meanings’, this is what I said. If the type’s too small, it’s repeated in italics below. “Underground is no more, but not to worry – for this is only because it has become so widely popular that the title is a misnomer. For what was underground is now very much in the open – so much so that it is invading the pop charts, and gaining steadily in popularity. A much better name, and one that is preferred by the addicts, is progressive pop, which is exactly what it is – to such a degree that even hard-bitten jazz record buyers are now acquiring a proportion of these new sounds in their monthly purchases. Where many people go wrong is they imagine all progressive groups to be of one musical STYLE. They tend to pigeon-hole the music as they do other musical sections such as jazz, blues, reggae and so on. Progressive music, on the contrary, encompasses many different musical styles. There is very little musical similarity between Captain Beefheart, the Third Ear Band, Pink Floyd and the Pentangle. The only common factor is that their records are bought by the same section of the record buying public. Musically infantile, eh? Perhaps in theory it is, but a good blues song still grabs me every time. And as even the most accomplished blues guitarists will tell you, you never stop learning. 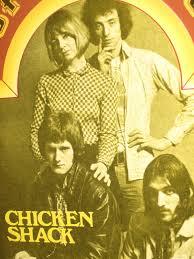 But even Fleetwood Mac was branching out from pure blues, with instrumentals like Peter Green’s ‘Albatross’. The Stones were recording ‘Sticky Fingers’ with non-blues songs like ‘Wild Horses’. Even Led Zeppelin would record the folksy ‘Stairway to Heaven’ later that year. The Beach Boys’ 1966 classic ‘Pet Sounds’ in 1966 was, by 1970, thought of as early progressive pop. Of course, the Beatles really kicked off the progressive music era with Sgt. Pepper the following year. Musically, everything was up in the air in March 1970. Where would the cards fall? While blues rock would never be in the public eye in quite the same way again, it didn’t die completely. Led Zeppelin and Black Sabbath were cranking up the volume and stretching blues rock into what would become hard rock and heavy metal. By August that year, I would be in London and doing publicity for young unknown bands like Deep Purple, Uriah Heep and Gentle Giant. How lucky was I that Deep Purple had their first massive hit, ‘Black Night’, while I was working with them. Mind you, I remember John Peel, the famous BBC disc jockey, refused to play Black Night because he didn’t feel it progressive or underground enough. 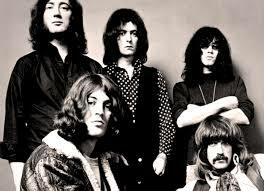 Uriah Heep with Deep Purple went on to pioneer heavy metal while Gentle Giant, with their Royal Academy of Music connections, was all that was good about progressive music in 1970. Eventually, as you know, much progressive music turned pompous and ridiculous. Bands like the Moody Blues, who had once been leather-jacketed blues rockers, were turning almost classical. At the same time, their albums like Days of Future Past were massive in China, where they were illegal. This to the chagrin of the authorities. Genesis lost the quirkiness they once had, Yes lost the beautiful simplicity I heard on one of their early acetates I once owned. Their keyboard player Rick Wakeman started getting into Moog synthesizers and the Mellotron taking us on classic-inspired journeys to the Centre of the Earth and the Court of Henry V111. Progressive music lost its way in the early 70s, while David Bowie and T. Rex (with their rocking blues boogies) took us down the road to glam rock. By the mid-70s we had ever-glamorous stage outfits, glitter and satin. Progressive musical attitudes made rock ever more pompous. There is even a term for it ‘Pomp Rock’. The musical arrogance of some progressive bands spelt disaster. I moved to Australia in 1973 just as Wilco Johnson and Dr. Feelgood were invigorating the music scene with vintage old-style rock ‘n’ roll. 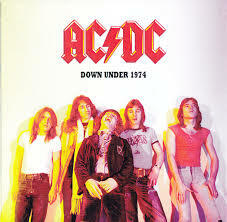 In 1974 I thrilled to a fledgling AC/DC on stage in Melbourne. Lou Reed followed them like a sleeping pill. AC/DC and Dr. Feelgood were blowing the winds of change through the music world. In 1976, punk happened, followed by the New Romantic phase. I’m afraid that’s where I began to lose touch. As Bob Seger once sang, “I like that old time rock ‘n’ roll’.